Spring Festival in Egypt is basically Orthodox Easter Monday. 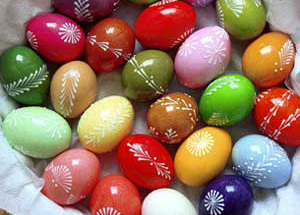 It still honors the Christian holiday of Easter Monday of the continuation of Easter as well as making it less religious in celebrating spring. This is a national holiday in Egypt where most public offices are closed for the day. It is usually marked with a family gathering and a walk to the park to enjoy the beautiful weather at that time of year. Usually a feast will take place afterwards, featuring spring onions and other lively foods. When the Catholic Romans took over Egypt the countries was forced to turn Christian or be prosecuted. All the Christian religious holidays stuck with the country after the Romans were defeated, but they were calendar a more secular twist.